Some pics from my short-trip to Amsterdam, I went there to visit my friend JR, who just recently arrived to Holland to study. Indeed I was excited about this city, its fame and history. I have to say that Amsterdam was not the first city in Netherlands I visited (Groningen), but still being probable the most famous and very interesting city in this country. We took advantage of the end of September to organise my visit during a design-week there, but I talk about in a next entry. My first impression about Netherlands in general is the incredible architecture these people have there. It is totally different for the one that can be seen in Germany and I’ve just compared it with the Copenhagen’s style and I found it more “daring”. They allowed them selves to experiment with the form. Amsterdam has also a strong tourist atmosphere, everywhere I found rivers of people visiting places, making pictures, taking guided tours, and of course so I did. The city says openly: “hey, do you want fun?, come here and you’ll get it”, its famous coffeeshops, gay pubs and its well known Red light district are its “attractions”. 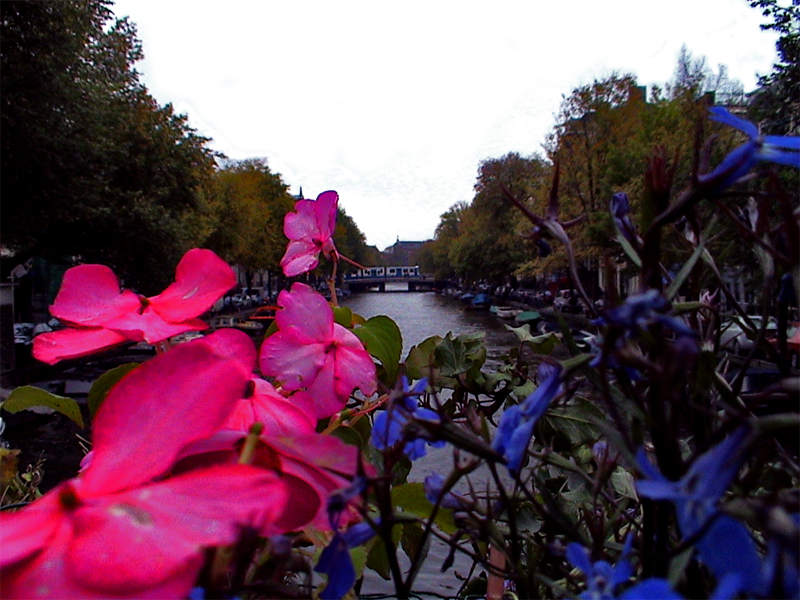 But Amsterdam offers much more than that, one can find there Museums (Rembrandt, Van Gogh, …), and an amazing amount of canals and bridges to get in love with their view. I chose for this gallery a few pictures to give you a general overview what I saw there. Hope you enjoy’em. Hola!!.. gracias por incluír mi site en tu blog roll list.. estuve revisando algunos de tus post y puedo ver a simple vista que eres una persona a quien le gusta viajar y probar un poco de todo.. felicidades por el blog.. saludos! !..